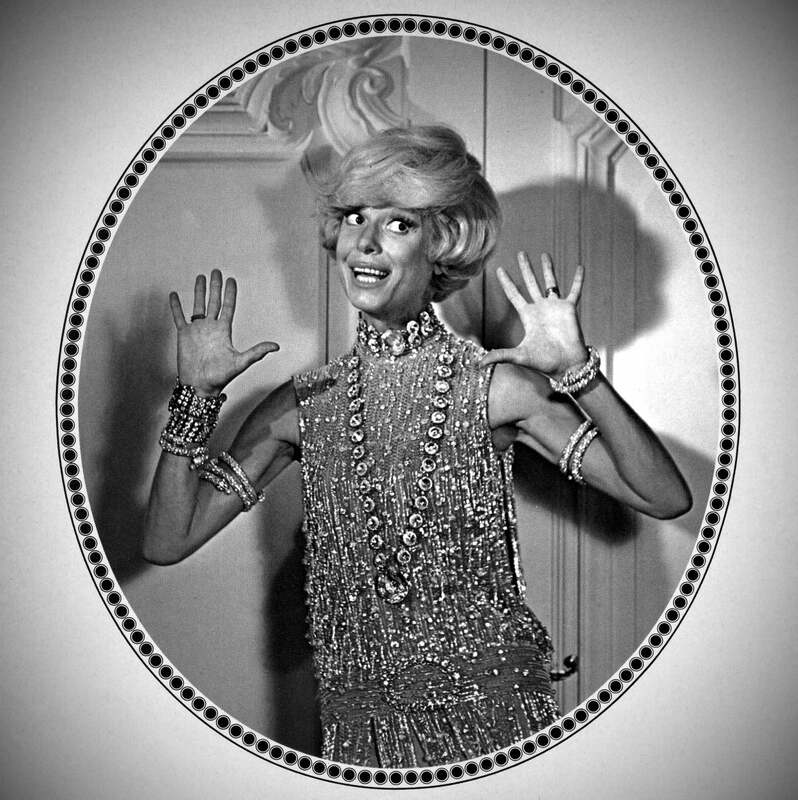 Carol Channing, the indefatigable actress who was going strong for 97 years, passed away January 15, 2019. She won a Golden Globe as Best Supporting Actress, not for her signature stage character Dolly, but for another over the top creation- the Long Island, N.Y. eccentric widow Muzzy van Hossmere, in the 1967 musical comedy Thoroughly Modern Millie. Channing won her Globe over outstanding performances such as Beah Richards in Guess Who Is Coming to Dinner, Lee Grant in In the Heat of the Night and the iconic Lillian Gish in The Comedians. Modern Millie collected four other Golden Globes nominations: Best Film-Musical or Comedy, Julie Andrews (who so far has 14 Globe nominations and five wins ) as Best Actress in a Musical or Comedy, Elmer Bernstein (seven nominations and two wins) for his score, and Best Song for the theme song by the creative duo of Jimmy Van Heusen and Sammy Cahn, who was nominated for a Golden Globe six times, three of them with Van Heusen. Channing's fame and strength were in theater, and she shone on Broadway for decades. She was the gold-digging Lorelei Lee in Gentlemen Prefer Blondes and the matchmaker Dolly Gallagher Levi in Hello, Dolly!, incandescent performances that made her a Broadway legend. She revisited her roles, playing to sold-out houses in a Broadway revival of Hello, Dolly! when she was 74, belting in her growling voice: “Wow, wow, wow, fellas/ Look at the old girl now, fellas”. At age 93 she took part in a Manhattan celebration of the 50th anniversary of the musical's opening night. Ms. Channing cultivated distinctive looks and voice which were uniquely hers: Huge eyes and mouth, a mop of tousled hair, the longest false eyelashes and extravagant gowns. Her voice, as distinctive as her appearance, was described by a critic as "gravel-toned and capable of sinking to subterranean levels... When she sang a song in her exaggerated growl, it belonged to her forever". 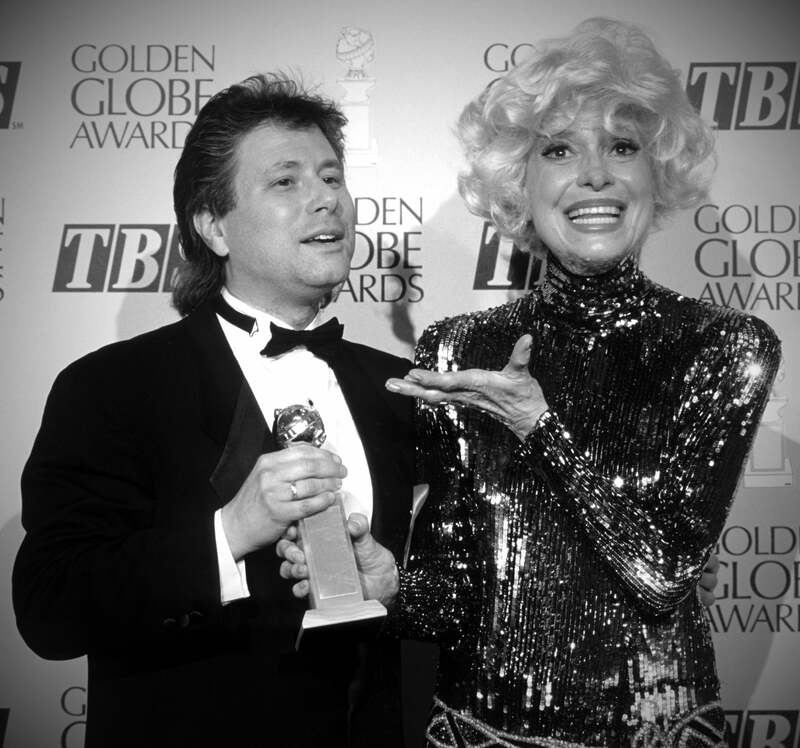 In 1992, Presenting the Best Score Golden Globe to Alan Menken, for Beauty and the Beast. Plays on Broadway, followed by a national tour of a nightclub act, which producer David Merrick caught in Minneapolis. Casting for his new musical, Hello Dolly, he gave the lead, matchmaker Dolly Gallagher Levy, to Channing. The play opened in 1964 to ecstatic reviews, winning ten Tony awards, including best actress in a musical for Channing, whose competition included Barbra Streisand in Funny Girl. The exuberant musical fit the zeitgeist. The country has recovered from the Kennedys and King assassinations, and Lyndon B. Johnson's first term uplifted the nation. When he ran for a second term, Channing supported him by performing a political version of her signature song, "Hello Lyndon". She became friends with the Johnson family and she was also proud and delighted when this earned her a place on Richard M. Nixon's infamous enemies list. She would go on to revive the play three times and play Dolly more than 5,000 times on stage. But Channing's film career never took off, and her only movie trophy was the Millie Golden Globe (and an Oscar nomination). Just as she had lost the Lorelei Lee role (to Marylin Monroe) in the 1953 filmed version of Gentlemen Prefer Blondes (which was overlooked by the HFPA), Channing also lost the Dolly role, ironically to Streisand, in the 1969 movie version, that gathered five Golden Globe nominations, including best acting for Streisand (18 Golden Globe nominations, eight wins and a Cecil B. deMille award, so far). Channing once said that she hoped to die the same way that her co-star in the original Hello Dolly, David Burns, has died. In a tryout for another musical, he got a big laugh and collapsed on stage mid laughter. "You see, the audience didn't realize that there was something terribly wrong, and he died hearing the laughter build. I can't think of a better way to go". Carol Channing, entertainer extraordinaire, lived on stage but died, of natural causes, at her Rancho Mirage home, 97 years young. Goodbye, Dolly.